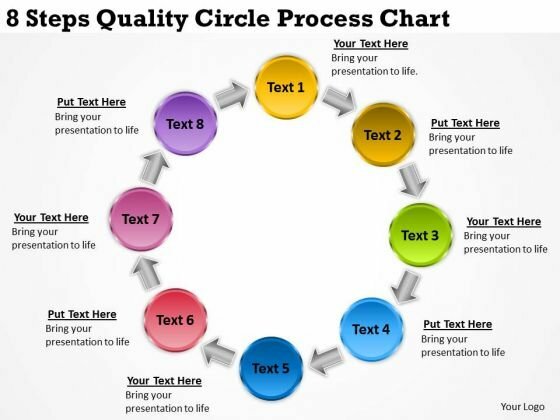 Circle process PowerPoint templates, backgrounds Presentation slides, PPT Themes and Graphics. Circular processes are an inherent part of our lives. From dust unto dust is the basic truth of the circle of life. The planet we inhabit is circular in nature. Our days on this earth have a cyclic character. In fact nature is in itself highly cyclic. Seasons flow from one to the other only to reappear at a predetermined time. The circle is a symbol of continuity. Our circle process PowerPoint templates offer you an array of creative designs to depict circular processes. A circle encompasses everything. It conveys your effort to look at any subject from every possible angle. Concentric circles depict the process of narrowing it down. Sharpening your focus on the core issues involved. Our designs further enable you to highlight these important elements. Bringing full attention to bear on every aspect. Breakdown the whole into its constituent parts. Accurately show the degree of influence each element of the process has. Our circle process templates will help you identify the factors that ensure continuity. The actions that ensure that the production cycle continues unhindered. We present our business process management diagram 8 steps quality circle chart PowerPoint Slides.Present our Success PowerPoint Templates because you can Break through with our PowerPoint Templates and Slides. Bring down the mental barriers of your audience. Use our Business PowerPoint Templates because Timeline crunches are a fact of life. Meet all deadlines using our PowerPoint Templates and Slides. Download our Arrows PowerPoint Templates because Our PowerPoint Templates and Slides will give you great value for your money. Be assured of finding the best projection to highlight your words. Use our Circle Charts PowerPoint Templates because Watching this your Audience will Grab their eyeballs, they wont even blink. Present our Process and Flows PowerPoint Templates because It will mark the footprints of your journey. Illustrate how they will lead you to your desired destination.Use these PowerPoint slides for presentations relating to Abstract, Action, Analysis, Blank, Business, Chart, Clipart, Commerce, Concept, Conceptual, Design, Diagram, Direction, Flow, Generic, Goals, Guide, Guidelines, Hierarchy, Icon, Idea, Illustration, Links, Manage, Management, Model, Organization, Performance, Plan, Process, Project, Relationship, Representation, Resource, Steps, Strategy, Success. The prominent colors used in the PowerPoint template are Purple, Green, Yellow. Logically arrive at the essential aspects. Discern the key factors with our Business Process Management Diagram 8 Steps Quality Circle Chart PowerPoint Slides. Our Business Process Management Diagram 8 Steps Quality Circle Chart PowerPoint Slides capture the essence of your thoughts. They stay faithful to the theme.